COSI kitchens specialises in the manufacture of truly bespoke hand crafted kitchens, with its exclusive product range available throughout Ireland. A COSI kitchen is undoubtedly a unique work of art; built with traditional, time-honoured methods, from the finest premium grade timbers in the world, each and every COSI kitchen is designed and crafted to the highest quality standards with architectural details that are characteristic of the past. At COSI we have a passion for excellence. Our philosophy is simple; we strive to exceed expectations by enriching our client's lifestlye with a kitchen that is as individual as they are. COSI kitchens are much more than a handcrafted kitchen; it is a statement of excellence and a true way of life, after all we spend much of our life in the kitchen so why not make it a cosi time with a COSI kitchen. Let us take you on a journey that will change your life a journey in which you will value for the rest of your life. Richardson Design have over 35 years experience in the kitchen and bedroom industry. 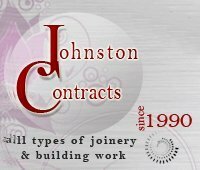 We offer a friendly reliable personal service building kitchens, bathrooms and to our customers exact specification and measurements. No two customers are the same. At Richardson Design we do not supply kits, we build everything in our purpose build showroom and workshop to suit our customers personal needs. We also have 20 displays of bedroom's and kitchen's in our lovely showroom. 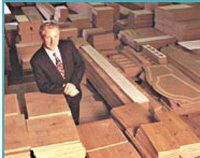 For over 25 years W C Guthrie Ltd have been recognised as one of Ireland's leading fitted furniture manufacturers. In that time a reputation for the highest standards of workmanship and expertise in the precision machining of a wide variety of components has been developed. The creation of a new division 'Silverwood Doors' has enabled these skills and expertise to be fully deployed in the design and manufacture of high quality foil wrapped MDF furniture components. Coupled with recent large-scale investment in 'state-of-the-art' machinery, this expertise enables Silverwood to bring products of the highest level of design, precision, consistency and sophistication to the UK furniture industry. The company operates on two levels, having both a standard range available in relatively low order quantities and a 'contract package' which offers larger customers a virtually unlimited range of options.